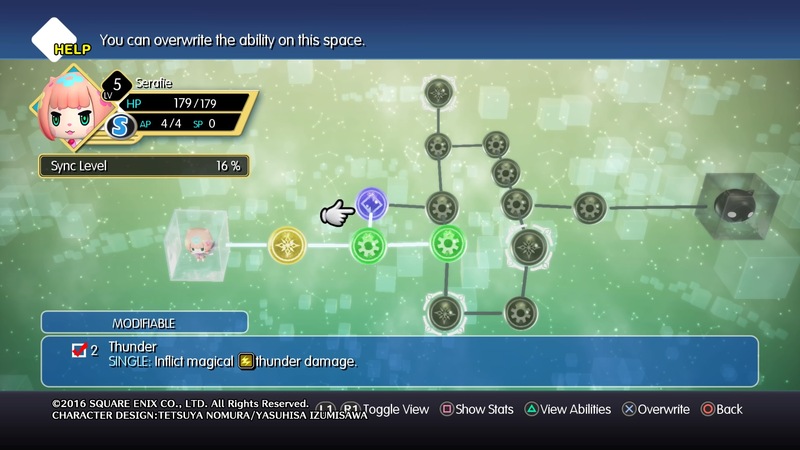 This guide will explain to you everything you need to know about how the new stack system works in World of Final Fantasy. When implemented and exploited, the stack system can be an extremely powerful asset whenever a fight unfolds. Changing stacks can alter your damage output. 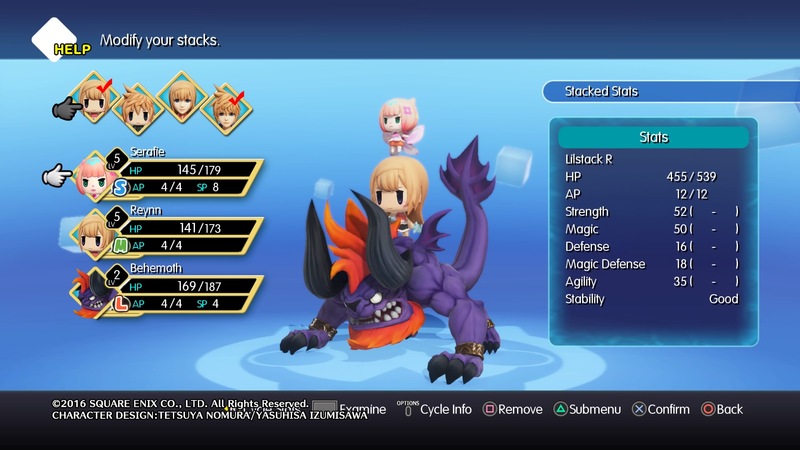 One of the many changes to Final Fantasy in the new World of Final Fantasy is the stack system. This new stack system allows you to stack your characters in a variety of positions, which influences your statistics. So long as you’re not in combat, you can access your stack formation in the menu by pressing Triangle. Access the Stack Setup screen and you will be presented with all the different formations you currently have available. By changing your character to be large or small, you can influence your available stacks. A large character can only use Bigstack and a small character can only use Lilstack. Each of the main characters in your party will be able to use either of these stack options, which is important, in that the type of monsters you face will help you decide what stack option is most powerful. All stacks have three options, S, M, and L, standing for small, medium, and large, respectively. These correspond to the size of the person or creature that can be in that spot. 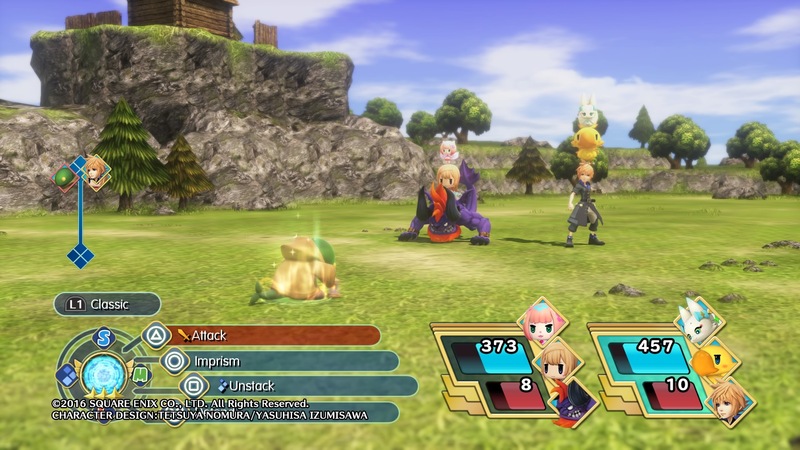 When Reynn and Lann are in their large forms, they use the L spots, while other smaller forms take up the M spot. Weaken enemies so you can imprism them, to then use them in your stacks. Whenever you encounter a new enemy you will gain a prism for that given opponent. You can then use these prisms to imprism the enemy, which allows them to be a part of your stack formation. Upon first imprisming an enemy, you will be informed of their stats, abilities, and what section of the stack they belong: small, medium, or large. Before you can catch an enemy, they must first be weakened. The danger in this is you will need to get their hit points low without actually dealing a damaging blow. Once their health is low enough, you will be able to use a prism to capture them. However, if you deal too much damage and you defeat them, you will have to wait until you encounter that enemy again. You will be able to tell if an enemy’s health is low enough by the stance they take. As their health reaches the ideal threshold, they will slouch over and look exhausted. This is the time you will want to use the Imprism command to try and capture them. Try this as many times as you can as it might not work the first time. Anytime you run into trouble getting enemies weakened, you should try unstacking one of your groups. Use the Unstack command from the battle menu in order to divide your party into single units as opposed to a single stack. By doing this you will lower your overall damage output, meaning you are less likely to defeat an enemy you are simply trying to weaken. Remember to level up your characters and unlock abilities to make them more powerful in your stack setup. Whenever you capture a new enemy it is important to check your stack setup, as the newly captured enemy may be stronger than your current setup. However, when you imprism an enemy, they will likely be a lot lower level than the rest of your party. Wait until the new capture has leveled up and check again to see if it’s stronger. Thankfully, the captured enemies don’t have to be in a currently active stack in order to gain experience and level up. Be sure to also check the Mirage Boards in the menu to give your characters new abilities and level them up. You use SP to unlock new abilities on a grid. Every party member and enemies you catch are all available to be leveled and can all learn new abilities. What do you think of this new entry into the Final Fantasy universe? Hopefully this guide on how the stacking system works has cleared up any confusion you might be facing. Here is a guide on how to complete mission 6 of Ghost Recon: Wildlands. Here is a guide on how to complete mission 5 of Ghost Recon: Wildlands.